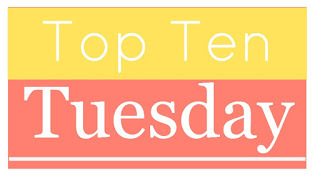 Top Ten Tuesday is a meme hosted by The Broke and the Bookish where we list top bookish things. Lists! Books! Things I love. And this week’s topic is really just encouraging me to go out and buy more books. This is a topic I can get behind. So, lets jump right in with ten books I really want to read but don’t own yet! Which I’m now realizing might be tricky due to the massive list of books I want to read and own already. I really need to find more time to read! I don’t own this one because its not on sale yet. I got the first two books at BEA, and both years it was one of the first books I read once I got home, but this year I have to wait like everyone else and it’s killing me, especially since the reviews seem to be great! Not only is this cover so pretty that I mussttt have a copy for my own shelf, but this is a wibbly-wobbly-timey-wimey kind of book, with alternate dimensions and all that fun stuff. I haven’t read any of Claudia Gray’s stuff before, but this sounds like a great one to start with. The blurb for this one starts with “X-Men meets Ocean’s Eleven” soooo… yeah, I’d like to read this one sometime in the very near future. The reviews have been mixed, but I’ll be more than happy to give this one a shot. I am counting down the days (or would be, if I knew the date) for this to show up on Edelweiss, because even though I’ll be purchasing a copy when it comes out, I want to read this one as soon as I possibly can. Very much a YA version of Firefly with the same character vibes and a slightly darker setting. I’d highly recommend the first book in this series, and can’t wait for the sequel. The cover for this one was enough to make me want to read it, even if I hadn’t already known that I love Leigh-Ann’s writing style. Maybe it’s wrong to want to read a book merely because it has an adorable cover, but so be it. I need this! I listened to book one in this series on audiobook and will probably be doing the same with this one (Irish narrator! 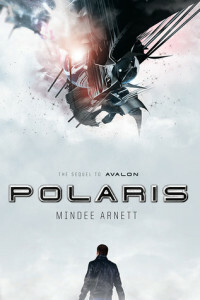 ), reactivating my Audible account as soon as this book comes out. I loved the first one, it was a really fantastic adult fantasy read (though still recommended for YA readers). 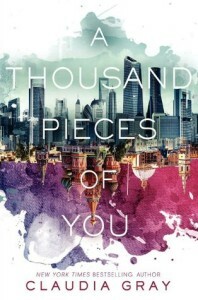 I’m pretty sure 85% of the YA book world is waiting to read this one. It’s still so far away though! Only as I’m writing this up am I noticing that even though I read book three months ago, book four is still well over a year away. Sad, sad Kellie. This series is amazing and highly recommended for anyone who likes… well, good books. Eep! How have I not read this one yet? Well, probably because I don’t own it yet but still! I thought book one was great, and loved the unique nature of Addie’s ability. Might see about picking this one up from the library though instead of purchasing it outright. This sounds like a pretty interesting read, arts school whose students lives are televised. 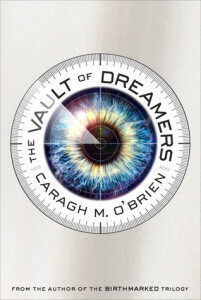 And I already know I enjoy O’Brien’s writing style. Add in a cool cover, and well sign me up! Okay, I’m cheating a bit with this one. I own it, it just hasn’t arrived yet and I cannnooott wait! I love everything Stephanie Perkins writes and have heard such good things about this book. The question is really just if I’ll reread the entire series or jump right in with the final installment.